State and loca l leaders who aim to improve population health must help older Americans live well with the challenges associated with aging. Given the rapidly rising number of elders, local governments have remarkable opportunities to facilitate improvements in health and quality of life for elderly people living with disabilities and serious illnesses. In March 2016, the county of San Diego joined both the AARP Network of Age-Friendly Communities and the Dementia Friendly America network to create the Age Well San Diego initiative. Age Well San Diego expands on the foundation of the County’s Live Well San Diego vision of a region that is “Building Better Health, Living Safely, and Thriving,” which was first established in 2010. Age Well San Diego is a five-year collaborative process of assessing needs and working with community partners to develop, implement, and evaluate an action plan. With support from the San Diego Foundation and AARP, the county’s Health and Human Services Agency first held an Aging Summit to introduce the concepts of age-friendly and dementia-friendly communities. Additionally, the county held listening sessions to garner feedback from the public and arranged targeted focus groups to gain input from racial, ethnic, and linguistic communities, which often are not well represented. The planning sessions included a broad array of county departments. Live Well San Diego has long recognized partners, community groups, and other health-related organizations. The variety of input led to a comprehensive “Age Well San Diego Action Plan” that was approved by the County Board of Supervisors in May 2018. The Age Well San Diego Action Plan identifies five priority themes: health and community support, housing, social participation, transportation, and being dementia-friendly. Goals, action steps, timelines, and metrics to measure success have been developed for each theme, and dementia-friendly strategies are woven through the other four areas. During the next three years, the county will work with community partners, interested stakeholders, and older adults to implement the plan, coming together to build age-friendly, dementia-friendly communities that will benefit residents of all ages. The county will continue to work closely with community partners, government officials, professionals and older adults to build a brighter future for people of all ages. Guided in part by this Action Plan, San Diego County is making major strides in aging well. For example, the county has one of the lowest rates of hospitalization of elderly people in the nation, a health information exchange that includes data from county services, and much of the county’s public education system has focused on preventing falls, the dangers of inactivity, and hypertension. With the focus on older adults, and an added emphasis on those with Alzheimer’s and dementia, the county is creating an environment in which the elderly are better supported with wrap-around services, thus bolstering and strengthening their ability to remain in their homes and communities throughout their lifespan. Moreover, Age Well initiatives help older residents avoid preventable illnesses, stay engaged in their local communities, and obtain adequate support in the last phase of life. Despite progress, the county still faces a substantial set of challenges in ensuring supportive care for people living with the disabilities associated with aging. Scores of supportive service organizations serve elders, but their capacities and eligibility requirements vary or change and are not coordinated. Medical care systems are mostly local, and they have cooperated on projects to improve emergency preparedness and care transitions. Most of the MediCal managed care plans, however, are owned outside of the county and are not yet well-connected with local services. Elders and their caregivers are too often left frustrated and anxious, and too many must cope with living without essential services. The county is exploring how to monitor how well elders are doing, both when they are still robust and when they are living with serious illnesses and worsening disabilities. While addressing these ongoing challenges, San Diego County remains an example to others looking at what local governments can do for aging populations. The Aging Well planning process makes it clear: if a health care financing and service delivery system were designed now for elderly people who might live for years with serious chronic conditions and disabilities, it would not be based on traditional fee-for-service Medicare. Instead, it would prioritize ensuring that adequate food, shelter, personal hygiene, eyeglasses, hearing aids, foot and dental care were all available. The affected population and their families would be involved in deciding which medical services help people live well and need to be readily available, and which services have little impact, given a patient’s age and condition, and need not be readily available. For people who can’t leave their homes, services need to come to them, with appropriately prompt response times. Optimal policies must go beyond standard preventive health care services and medical care delivery to involve social determinants of health, including education, living or working conditions, and societal connectedness. The built environment, the local workforce, and the services available shape the experience of elders and their families in profound ways. Adapted housing and transportation for the elderly, for example, enable community living, while shortages push elders into nursing homes. When the elderly have access to parks and community spaces, they are more likely to get physical activity and engage with others, reducing isolation and depression. These ideas are coming together in the MediCaring Communities reform proposal. The MediCaring Communities concept proposes additional reforms, including capturing funds saved from avoiding wasted and low-value medical care and instead investing them in community-based services. Currently, health insurance ensures that a frail elderly person can get any costly drug or surgery, but that same person often faces challenges in finding shelter, personal help with bathing, or dental care because these essential services have inadequate funding. San Diego’s social services and its health care providers have long been committed to enhancing the health of its people, as demonstrated by Age Well San Diego and other collaborative and innovative endeavors. However, the county’s ability to test more fundamental reforms is constrained by established processes and financing. Creating a set of reliable and efficient social arrangements to support a large and rapidly growing number of frail and disabled elderly people will require the opportunity to test substantial innovations. The MediCaring Communities model provides such an opportunity. The Center for Medicare & Medicaid Innovation within the Centers for Medicare & Medicaid Services should enable a few communities, like San Diego, to work intensely with their elderly population to demonstrate how a highly reliable and efficient aging care system could be developed for the elders who must live with disabilities and illnesses. Funding should aim to stay within current aggregate costs to elders, families, communities, states, and the federal government, but some funds would be directed to reforms that benefit all elders and their families—such as workforce training, caregiver support, dental care, and so forth. Many communities likely would join and build this future—just in time for the aging of America. Nick Macchione serves as San Diego County’s director of the Health and Human Services Agency, which serves over 1.3 million people. 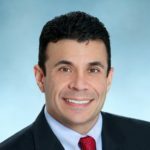 He is also the architect and strategist of “Live Well San Diego.” He is a fellow of the American College of Healthcare Executives, a Public Health Leadership Scholar with the Public Health Institute/Federal CDC, and a Creating Healthier Communities Fellow of the American Hospital Association. Macchione holds master’s degrees from Columbia University and NYU specializing in leadership, management, and policy. He is a member of the Steering Committee of the Reforming States Group. 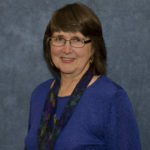 Joanne Lynn is the director of the Program to Improve ElderCare at Altarum, which has developed a practical reform agenda for supporting elders who are living with disabilities and advanced illnesses called MediCaring® Communities. Lynn is the author of more than 250 professional articles and a dozen books on palliative and end of life care. She is an elected member of the National Academy of Medicine, a Master in the American College of Physicians, and a Fellow of both the American Geriatrics Society and the Hastings Center. She received an MS in evaluative clinical sciences from Dartmouth College, an MA in philosophy and social policy from George Washington University, and an MD from Boston University.